As promised, Sony officially unveiled PlayStation 4 Neo (sometimes referred to as the PS4 Pro or PS4.5) during PlayStation Meeting 2016 on September 7th. PlayStation 4 Neo is basically a souped-up PlayStation 4, bringing significant hardware upgrades on both the CPU and GPU side. These hardware improvements would allow for better performance and graphical fidelity. In particular, The Neo can support 4K resolution and virtual reality, which is fitting given that Sony is producing both 4K televisions and the PlayStation VR headset. But this shiny new console currently doesn't support streaming movies and music from iTunes! Firstly, you need to know that it's unable to transfer your iTunes movie, music and Apple Music to PlayStation 4 Neo for streaming because of the DRM protection. If you want to sync these files to the new PS4 Neo, you'll need to remove DRM from the iTunes movies or music with some powerful third DRM removers such as M4VGear DRM Media Converter and Sidify Apple Music Converter. In the following sections, we'll walk you through on how to stream iTunes DRM-ed movies and music to PlayStation 4 Neo step by step. All of movies, TV shows, music videos and iTunes Extras downloaded from iTunes are in DRM protected M4V format which stops you from copying or converting to other formats for enjoying on non-Apple devices. To backup iTunes DRM M4V videos for watching without any limits, you should be in need of M4VGear DRM Media Converter (For Windows & For Mac) which can remove DRM from both iTunes purchased & rented videos at 20X faster speed. Besides that, M4VGear can also preserve original AC3 Dolby 5.1 surround audio and all subtitles. Step 1: Download and install M4VGear program according to your Operating System. Step 2: Add iTunes M4V Videos to M4VGear: clicking "Add Movies" button on M4VGear interface and then you can add iTunes movie, TV Shows, Music Videos and iTunes Extras for converting. Step 3: Set Output Format: click the setting button on the bottom left to choose output profiles supported by your PS4 Neo. 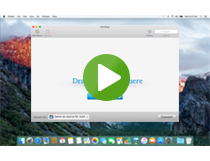 Step 4: Start Conversion: click the "Convert" button to convert the iTunes DRM-ed videos. Step 5: Find Converted Files: click "History" button on the upper right of M4VGear to find the DRM-free videos. Step 6: Transfer the well converted movies to an USB device, and then connect the USB to the PS4 Neo via a USB port. In this way, you can simply play both iTunes rental and purchased videos on your PS4 Neo. Since 2009, Apple has removed DRM protection from iTunes music, but the release of Apple Music brings DRM back. Thankfully, Sidify Apple Music Converter (For Windows & For Mac) allows to remove DRM from any Apple Music track, old iTunes M4P songs & iTunes Audiobooks, as well as convert them to DRM-free MP3, AAC or WAV format, thus you can freely transfer them to any device for enjoying, including the Sony PS4 Neo, iPod, iPhone, Zune, and other MP3 players. It is worth mentioning that Sidify preserves the original ID tags and metadata, including track number, title, artist, album and genre, etc. Step 1: Download and install Sidify program according to your Operating System. Step 2: Add Music Files: clicking "+" button on Sidify interface to import your iTunes M4P music and Apple Music from your computer. Step 3: Choose Output Format: click the setting button on the upper right to choose MP3 or AAC as output format or adjust settings. Step 5: Find Converted Files: click history button on the upper right to get the MP4 files or other non-protected. Step 6: Then create a folder called "Music" in the USB storage and transfer all of music files you would like to play from computer to the USB for connecting with PS4 Neo. 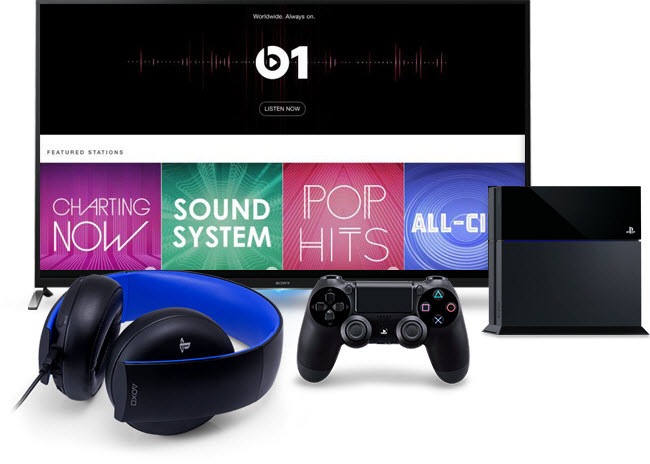 Now, you can enjoy your favorite iTunes music or Apple Music on PS4 Neo. Tips: M4VGear & Sidify will offer you a 1 minute free trial which lets you convert one minute of each iTunes file for free. If you want to unlock the time limitation, please purchase the program through M4VGear Store or Sidify Store.